I am a professional photographer and amateur astronomer that works at the New Jersey Astronomical Association Observatory in Voohees, New Jersey. I was taking pictures of my son and because I am a drone flyer I saw an object in the sky moving rather quickly across airport grounds. Because I thought that this object was a security drone I snapped the picture and didn’t really look at it for weeks. After finally looking at it to compare to my drone I noticed that it was not a drone at all. It had 4 dome-like structures and a central structure holding it together. There is no obvious flight surface to provide lift so one would assume a balloon. Unfortunately I had never seen a balloon move this fast and with such purpose… in a straight line and at a level height. Could it be a drone? Possibly… but given the distance and using some simple geometry (and some assumptions) I estimated the craft to be roughly 20-25 feet across. This is my 3rd strange sighting I have had in my life. And the only one made during the day OVER a VERY active airport. In addition I have the RAW. I took this with a 70-200mm f2.8 canon lens… so not cheap glass… and the detail on the raw can be zoomed way in with little loss of resolution. I will try to attach. 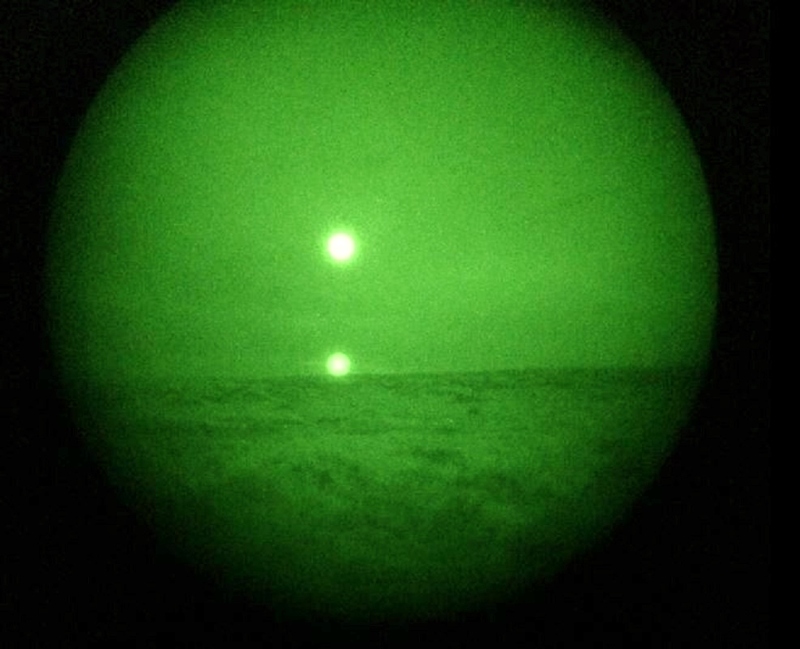 We are posting photos that were sent to our Center by a current member of the U. S. military of a sighting that reportedly occurred at approximately 22:00 hrs. 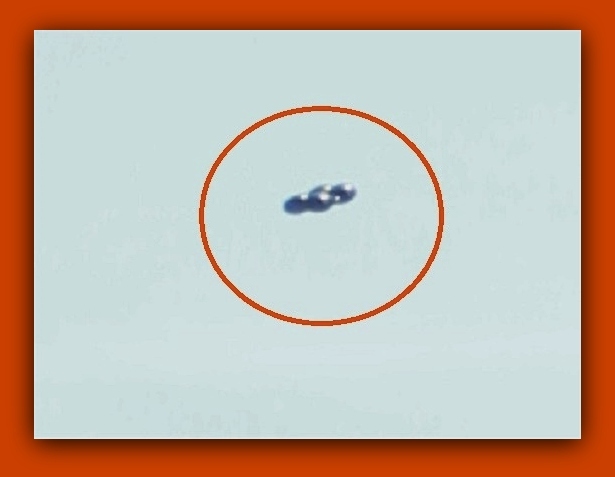 (MST) on Monday, December 08, 2014, above an undisclosed military site in New Mexico. At least three of the photos were taken by one of the witnesses, using military grade night-vision devices. 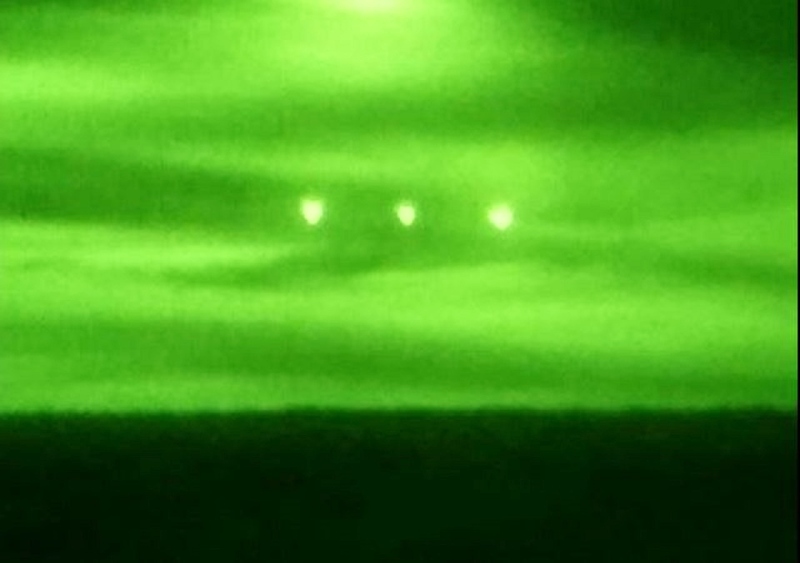 Shape: Formation – Duration: 10 minutes – Unknown lights near our training site. Three of us were on ECP guard duty; our shift was from 1600-2330. Around approximately 2100 we saw one light appear then another, then one more; in a line formation like this . . . they were white with a red tint. The three of us were in a gun truck. One guy up on the gun, one passenger and I was in the driver’s seat. I tried getting a picture, but it just wouldn’t take very good. 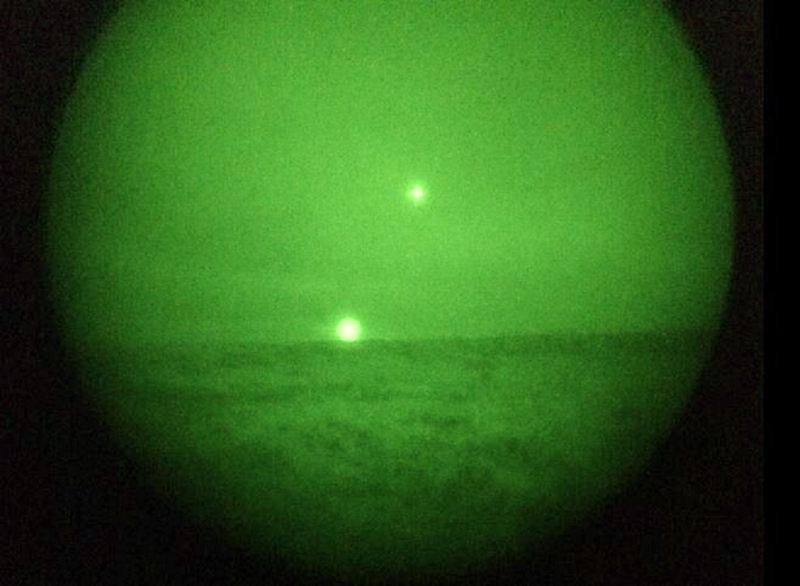 Unlike my two buddies’ used NVG’s (night vision goggles) just a regular picture; did no justice. So I got out to get a better view for a picture and no more than 20 seconds they all vanished. They never moved; not once. Aircraft flew right through our line of sight and they were just there; east of our position. While west of us a artillery company was training as well and shot up multiple flares, we used to compare like most military explanations! “These were not flares”! And the best part is south of our guard station is our CP where our CO & 1st sgt witnessed them as well; from a slightly different angle. Word got out and my CO asked for me to come by asking me what I saw, so I told him and that’s when he said they saw the same lights. Where we were, there is a lot of missile testing. I believe our presence and the artillery going off drew these UFOs’ attention.